I love the primitive style of this handmade jewelry holder. 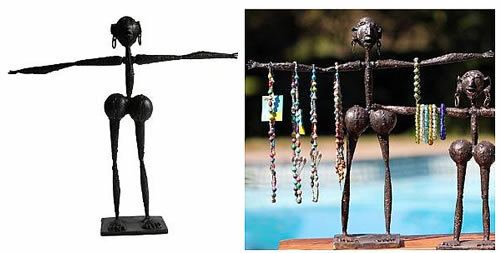 It comes from artisans from Kenya and is a Fair Trade item. Perfect for hanging your necklaces and bracelets so you can pick out your jewels easily in the morning and be on your way! Measures 19.5″ tall, 22.5″ wide and 6″ deep.